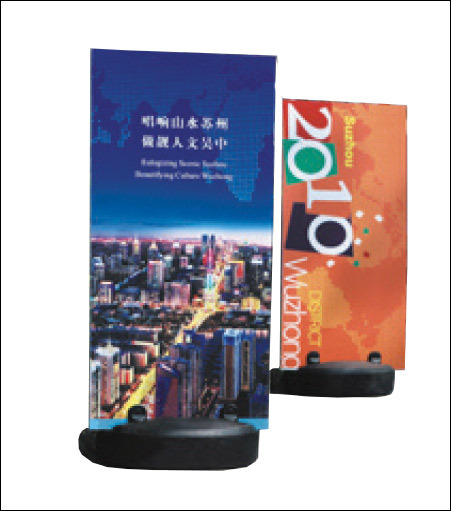 The Falcon 33 Sign Stand is affordable, portable and easy to assemble. Base is made of heavy duty plastic. Holds material from 1/4" thick up to 3/8" thick. (Face not included) Can hold 1/8" thick material with an 1/8" thick shim.